Heat oven to 400°F. Butter 2-quart casserole. 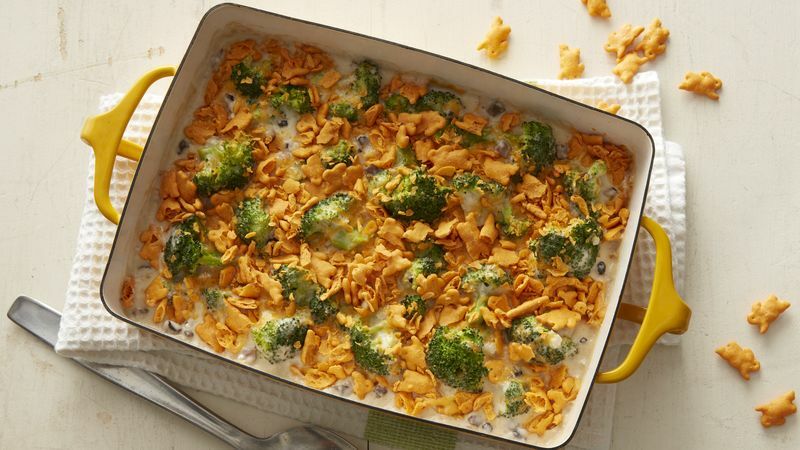 In large microwavable bowl, microwave broccoli uncovered on High 5 to 7 minutes or until crisp-tender. Stir in remaining ingredients except crackers until well blended. Pour into casserole; sprinkle with crackers. Bake 15 to 20 minutes or until bubbly and thoroughly heated. Substitute any of your favorite shredded cheeses. Substitute frozen broccoli for fresh broccoli. Cook as directed on package; drain.